A skincare routine for your face is a must for me, but oftentimes we forget about the skin on the rest of your body. It’s just as important to take care of the skin below your neck. 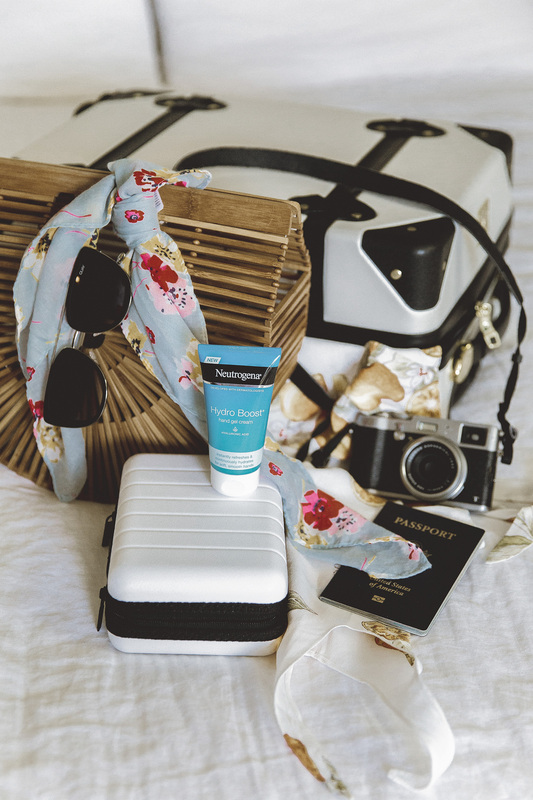 Today I am so excited to partner with Neutrogena to share some tips to care for the skin on your body — you can thank me later ;). Just as I’m very particular with the cleanser I use on my face, I make sure the one I use on my body is gentle and hydrating. Graduating from bar soaps, I tend to use non-stripping body washes and oils. Plus, it’s always so nice to luxuriate a little and if the day has been tough, I’ll draw a nice bath. As part of the cleansing process, exfoliating is just as important. About once a week, I love a good sloughing. You need to turn over the dead skin cells to absorb all the goodness in the next steps and to show off that radiance. Self-care ladies! If you know me, I am pretty hyaluronic acid obsessed. I honestly, have about 3-5 different hyaluronic acid booster serums on my vanity at any given time (to layer into my skincare cocktail). First, what is hyaluronic acid? Your skin cells produced it naturally for moisture and it has the ability to attract water. Just to put things in perspective, it can hold 1000x times its weight in water! The best skincare for face or body starts with hydration. 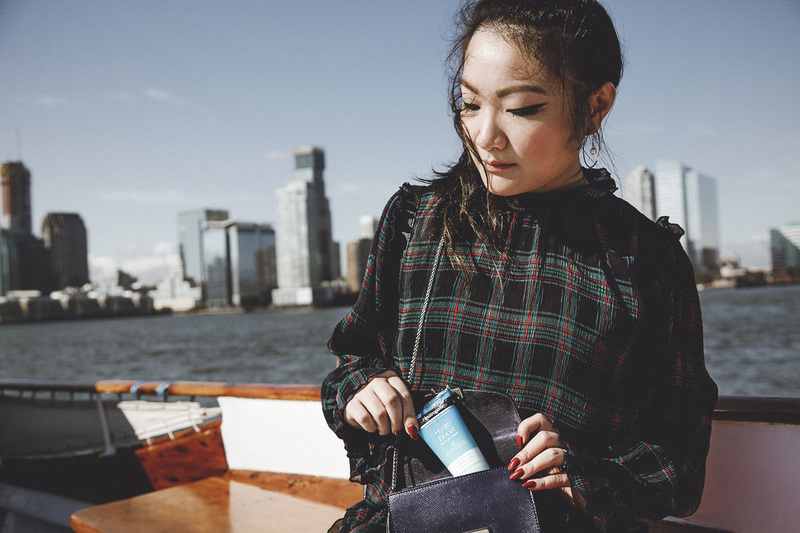 I make sure to drink plenty daily, but I always put in the extra work with my beauty products. We can dehydrate so easily from weather, aging, pollution, stress and the list goes on. That’s why I’m such a big fan of hyaluronic acid products. It moisturizes, and keeps your skin supple. 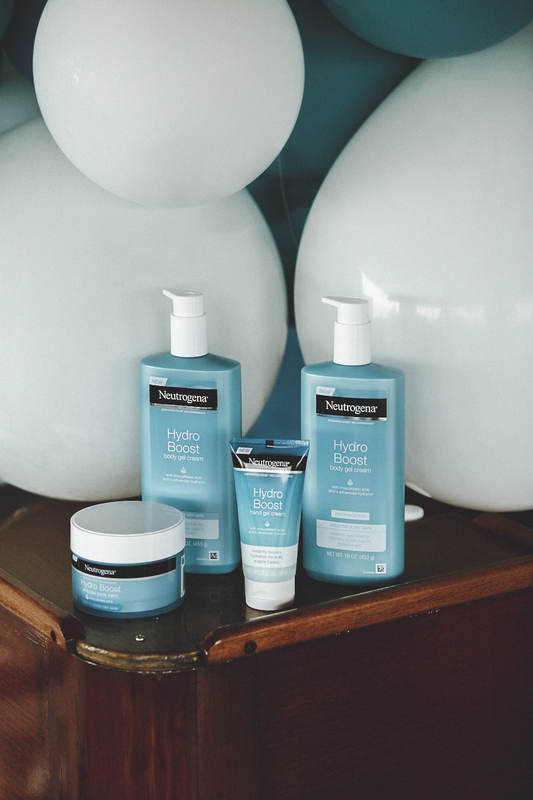 That’s why I’m so excited to talk about the new Neutrogena Hydro Boost Body line! We already love the hyaluronic boosted skincare range for the face and now they are taking it to the body in four new products – Hand Gel Cream, Body Gel Cream (Original Scent & Fragrance-Free), and my absolute fave to use — the Whipped Body Balm. They are divine to use and play such an important part in sealing in the moisture on my body. With the cooler months ahead, this will be more important than ever. I know I will need all moisture I can get and keep it. The last tip is sunscreen. Don’t forget about the skin on your body! It’s so important in protecting the skin you worked so hard to keep healthy and radiant. I for one, do not want to undo it with sun damage, expedited wrinkles or sunspots. I always use SPF 50 and above, just because I’m more sensitive to the sun rays than most people, but at least 30 is recommended by most derms. So, those are some tips to bring skincare to your body. I’m a big sharer and want am so happy to spread the love. 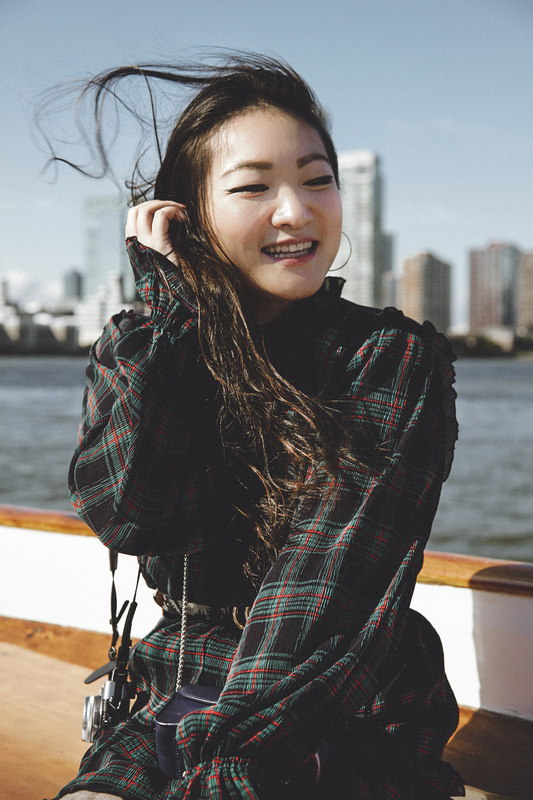 A big thanks to Neutrogena for taking me on a sail for the launch of the body line! 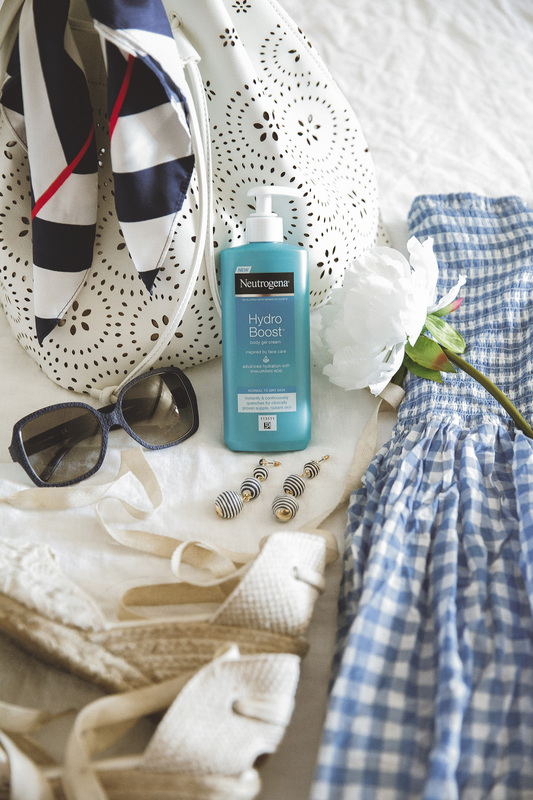 I love taking the Hydro Boost Hand Gel Cream with me on-the-go. They are all great, but the Whipped Body Balm is heavenly, so if you want to indulge, I highly recommend it! Thanks for reading! Share your skincare tips for body below. Autumn is the brightest time of the year when nature changes its habitual appearance for golden colors in the autumn rays of outgoing heat.